The year is 1865 and Elsie has just moved into her late husband’s family manor, a place to grieve and spend the remaining months of her pregnancy. The ancient manor has been empty for a generation, and while Sarah, Elsie’s companion and cousin by marriage, relishes the opportunity to reconnect with her family roots, Elsie is apprehensive. The staff seem resentful their daily activities have been disturbed, and the townsfolk are afraid of both them and the house. Elsie thinks everyone is too jumpy and superstitious, at least until she finds a companion in the attic – a figure painted on wood of a life sized little girl who has an extraordinary resemblance to herself. I don’t often get scared of books, not like this. So why was this one so different from other stories about creepy old houses? Well, it’s all to do with a coincidence in its plotting and my current home, you see. For those playing along at home, I currently live in my husband’s 5th generation family home that has a few very creepy life sized porcelain dolls in the attic. Reading the story into the wee hours of the morning may have ramped up the creep factor of the novel to the point where I didn’t really sleep. On the other hand it was quite the atmospheric read! In some ways this is a family saga, a story following the women of the Bainbridge family, both those born to the name and those who married into it are followed very closely. It is a story of family tragedies, of women trying to do what they feel is best for them, their children, and their family. It is also a story of old grudges, of revenge, of old houses that have seen too much. Rumors may or may not be true, and the things that cause fear to creep up your spine in the darkest hours just before dawn might just be real. The book starts out slowly, introducing us to Elsie, our main character, Sarah, her cousin, and the rest of the cast. The frightened townspeople are never seen, but whispered about, never coming to the house. The house itself sits in decaying magnificence, a testament to the family’s better days. Now rooms are closed, the gardens are overgrown, and nothing stays but the rumors. A good portion of the opening chapters explore the relationships between characters and the unexpected loss of Elsie’s husband. Slowly, the beautiful but sad old mansion begins to take on an element of malevolence and of fear. 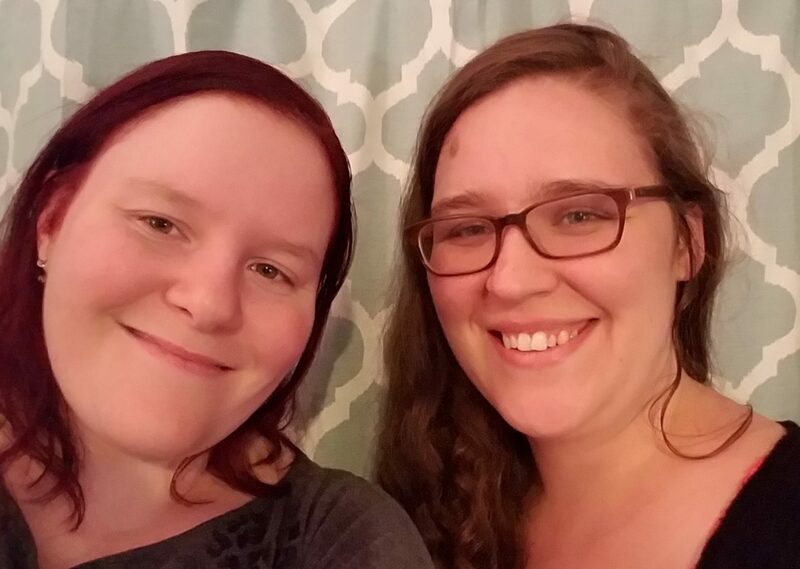 Exploring their new home leads the two ladies to several odd finds – unused rooms in oddly pristine condition, locked doors no one can open, and things the staff insist aren’t there at all. The oddness and creepiness of both the place and situation unfold slowly. We are fully invested in Elsie and her terrible circumstances by the time the oddness becomes more prevalent. In the attic sits a life sized painting on wood of a young girl, one who looks oddly similar to Elsie. This is what is known as a companion, a very creepy oddity from the seventeenth century whose true purpose is unknown despite multiple theories. A bit scary in their own right, these curiosities are brought to life in The Silent Companions. 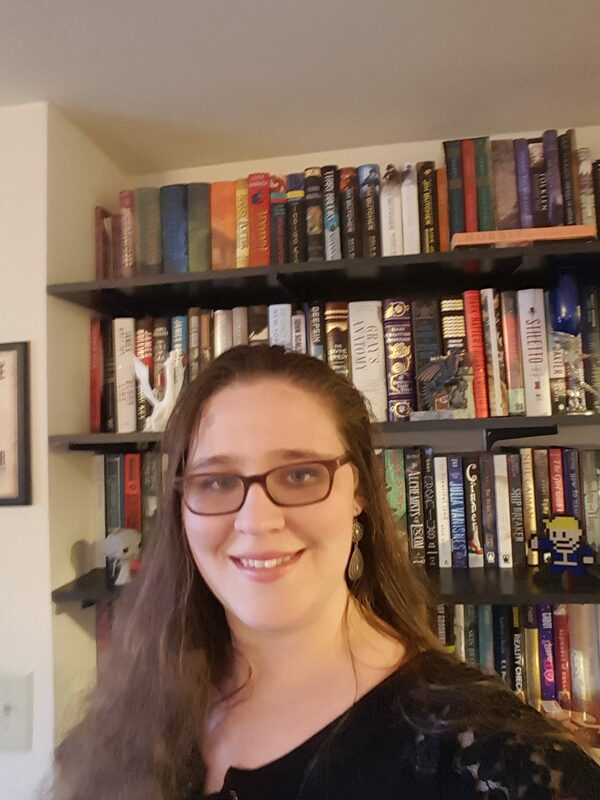 This is something that the book does very well – taking real life objects and circumstance (or very likely objects and circumstances) and bringing out the inherent creepiness, the fearful aspects, and the dark corners of family history that we’d rather have stay buried. The townsfolk have long memories, remembering and holding grudges against a far past the Bainbridge’s have striven to lay to rest. There is talk of witches in the family, witches that were burned at the stake like so many others during the 1600s. Terrifying life sized paintings were real, an oddity, a curiosity, but a very unsettling one. This story is filled with very believable, very realistic circumstances. These range from the very basic interactions of Elsie with her staff, trying to navigate suddenly being in charge of household staff with a desire to simply sit and converse and not have to think of the premature death of her husband. But, most importantly, the characters directly addresses the unknown and possibly supernatural threat they face. This is something which is sometimes missing from similar novels. Elsie and the others are smart, clever, and do not simply suffer through frightening events. Even when they are scared they move forward with determinedly in order to get answers and put things to rest once and for all. They are very proactive. There are multiple attempts to get rid of whatever is in the house as early as midway through the book. I really liked about the novel, and it made me love the characters even more. The discovery of the diary of Sarah’s ancestor, Anne, leads to chapters being told from Anne’s point of view. We travel back to the 1600s to when the house was new and grand, the family on the brink of wild success. These chapters started off rather normally, much like the start of the book. Slowly, the events of present day 1865 grow more and more tense, the questions doubling and tripling. Some of these questions are answered in part by the diary, and, in turn, the chapters which go back two hundred years to the 1600s. Both sections grew tenser and more frightening, though in different ways. The story lines in the two separate time periods play off each other very, very well. I grew to love the sections about Anne, her family, and the events that began all of this so long ago. I enjoyed reading from Elsie’s point of view. She’s a pragmatic woman, one who often tries to take control of the situation even as things begin to spiral into the unknown and out of her control. I also greatly enjoyed the chapters from Anne’s point of view. She, too, is a pragmatic woman, but one whose faults are more readily seen. Anne knows of these faults – the tendency to let her young daughter, Henrietta Maria, do whatever it is she wants, the use of special brews and tinctures that could label her a witch, and the meddling with things that are dangerous and should be left very much alone. There is the nagging question at the back of our minds though. Has all of this actually happened? Or is our narrator unreliable, her testimony somehow compromised from a trauma filled childhood and more recent tragedies? I don’t want to divulge too much, though, and will leave things here. 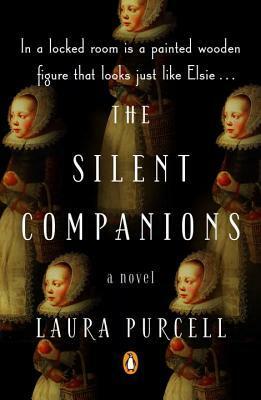 I really loved The Silent Companion by Laura Purcell. It is a fantastic story about family, secrets, and gothic horror. I highly recommend reading this book, and look forward to whatever else Laura Purcell may have in store for us next.